This entry was posted in Writing and tagged Amazon book reviews, beta-readers, Dear Abby, editor, Mary Farmer, self-publishing, writing a novel by Lori Ericson. Bookmark the permalink. Good for you! I wish you continued success. Thanks for the comment. If a book is truly atrocious, I will leave a 2 star review. I get suspicious of book with all 4 and 5 star reviews. I don’t trash a book or author though. There is nothing professional about that. If it someone I know, I simply won’t leave a review….or say “great cover!” LOL. Good idea! I agree, no need to be ugly. LOL! Right on point! We all need an editor or three. Grammatical errors are not good, and readers do not like to find them, but I would never leave a bad review of a novel. I would just not review it. I’ve seen typos in John Grisham books and other best selling books. Even the best editors miss a few things. Some people can not afford professional editors. We should all strive for a well written story with absolutely no grammatical errors, but I am forgiving of a self-published author with limited resources who is getting their story out the only way they can. Readers will decide if they like a story or not. A compelling story with typos or a few grammatical errors is still going to be a more enjoyable read than a dull story with no grammatical errors. In reality, reviews are probably of little help to potential buyers, unless the reviews are written by strangers the author has never met. I recently read an article where some of the best-selling self-published authors have purchased hundreds of reviews. So much for all authors and reviewers being honest. Most self-published authors allow a 10 to 20 percent sample download of their eBooks. Within that sample, I can usually tell whether or not I will enjoy reading the story. The vast majority of the time I pass. The problem I find that hurts many self-published books is not typos or grammatical errors, but the slow pace in which they begin. If the story doesn’t really get going until page 38, most likely, I’m never going to get to page 38. I once heard an author tell the group in the room I was in that if we could just wade through the first one hundred and sixty pages of his novel, it really got going after that. I kept the copy of the book, he gave each if us, in my library for years, until I donated it to the used book store in Rogers last year. I am sure it is still there. I never read it. The author did point out there was a typo on the first page. You are so right, Jim. I find errors in every book I read, usually a few. In this particular case, there was little editing at all. 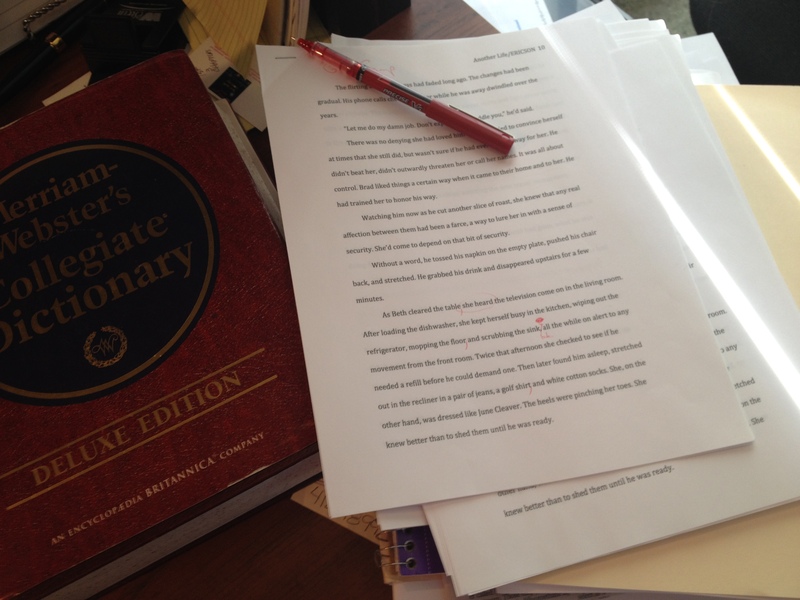 Even if you can’t afford a professional editor, you can have it read by more than just a spouse. Asking for glowing reviews and expecting them when you’ve put out an inferior product is ridiculous. I read samples myself and find that helpful. Thank you for your thought-provoking response. I agree wholly with Jim’s take on this. It’s slow sluggish reads and bad writing that turn me off. I’ll overlook some typos and misspelled words of otherwise well written books. I have a friend who will tell me if she finds typos or the like in my books and where they were so they can be fixed if at all possible. Kindle books can be taken down and fixed if the author uploaded them, so don’t hesitate to point those out. It might help the author see what he/she needs to do in the future. I shared this blog on my FB page because I think it’s so important. Thanks, Velda. I, too, can overlook a few typos but can’t force myself to write a false review. Best to keep my opinions to myself in that regard. I didn’t know that about Kindle books. Thanks for the wisdom and the share! I read the same Dear Abby letter and agree with your take. Nobody can edit their own work and when it comes to something as large as a novel, you’d better had a professional doing it. Jim and Velda are right about the story. If it isn’t compelling, great grammar isn’t going to help. Everyone needs an editor, but doesn’t have to be a big expensive service either. Just someone who knows their stuff and is willing to help. And several read throughs! Thanks for the comment.